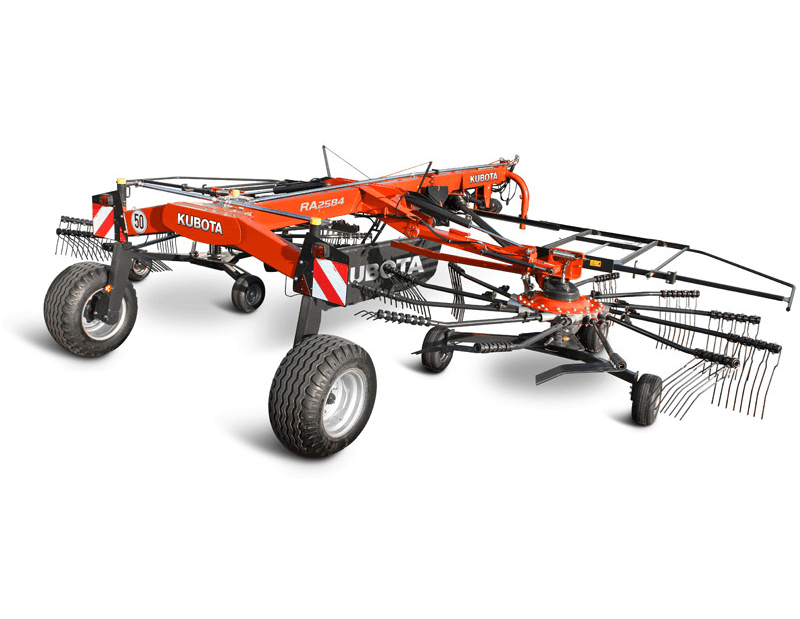 FARMLINE RAKES (RA2072 AND RA2076): Kubota's FarmLine double rotor, center swath rakes are perfect for all operations matching mowers up to 13 ft. in cutting width. FarmLine rakes feature oil-immersed cam discs, guide rollers and tine bearings, making them low maintenance. All rakes are fitted with curved tine arms, to ensure a regular and even swath formation in all crop conditions. Additionally, the curved shape increases the tine working area as the rake is moving and allows a higher lift out of the swath, which is critical in high volume crops, ensuring a very uniform swath. 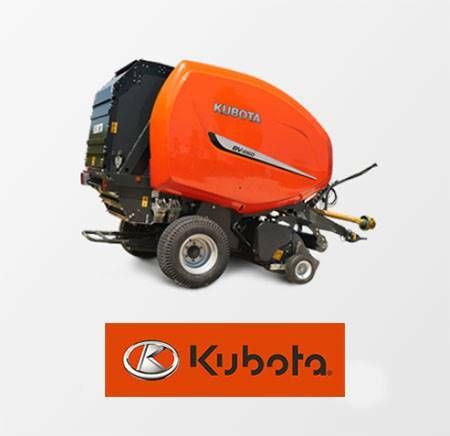 Our expert knowledge in producing the right swath not only optimizes the capacity of the baler, but also increases the quality of the forage. 23 ft. - 25 ft. 7 in. Swath diameter - 4 ft. 3 in. - 7 ft. 3 in. Transport - 19 ft. 4 in.